In Feburary 2007, the shared private life of Gustav Hofer and Luca Ragazzi was turned upside down: the Italian government had presented a draft law that acknowledged the legal rights of unmarried and gay couples, prompting a wave of ferocious homophobia throughout Italy. The Vatican and the conservatives challenged the legalisation of civil unions, insisting that the end of morality and “family” would be the inevitable outcome. Partners for more than eight years, Gustav and Luca attempted to understand the different arguments for and against the law. Camera in hand, they undertook a journey into a country they did not know and did not expect to find: their own. The resulting documentary shows what they learned on the way, through interviews with passers-by, religious figures, conservative and liberal politicians, and protesters on both sides. 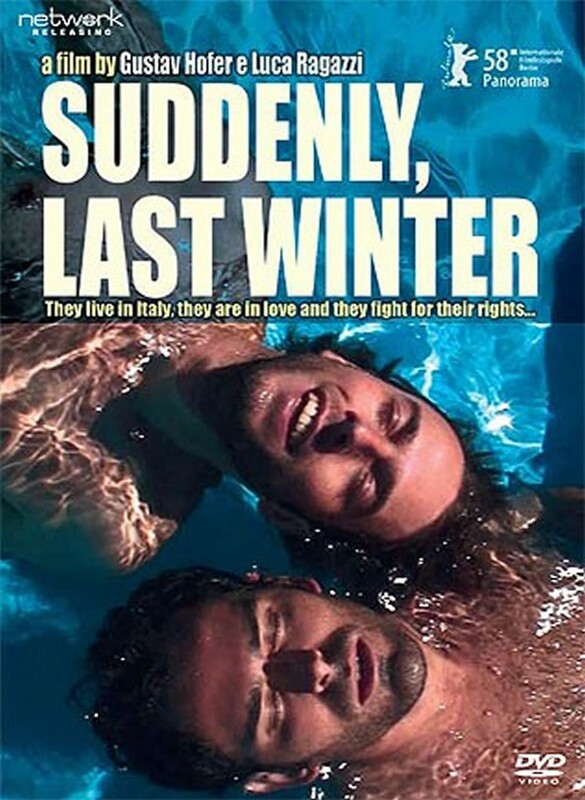 Suddenly, Last Winter is a personal, moving, humorous, courageous and frequently shocking portrait of contemporary Italy’s sexual intolerance. Released to great acclaim in 2008, its numerous awards include that of Best Documentary from the Italian National Syndicate of Film Journalists, Best Documentary at the Milan International Lesbian and Gay Film Festival, and Panorama Jury Special Mention at the 58th Berlin International Film Festival.